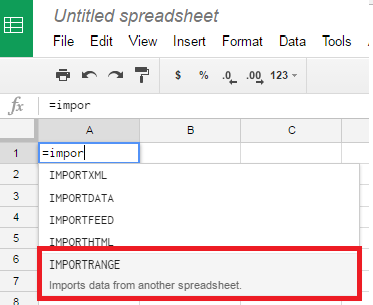 Before getting into how to import one google spreadsheet into another, let us see the features of it. Google Spreadsheet is a very powerful tool. Those are commonly used for our official or personal purposes. Google sheets can be quickly and safely managed online with our Gmail Account, and which can be accessed from our Google Drive, about which I had already posted in one of my articles. Before getting into how to import one spreadsheet data into the another one, Let us know why is it required to import the sheets. At the workplace, we work on the several Google spreadsheets, as all the spreadsheets are created for showing different statistics. And most of the time we required some amount of data from one sheet to make the reports. We can also import multiple spreadsheets into one, for preparing various reports. Google Spreadsheet has some number of functions, to simplify our work. Any calculations can be done in Google Spreadsheet. 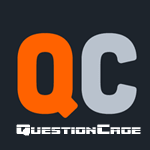 Array, Text, Filter, Lookup, Parser, etc. Amongst all the functions, we will here be looking into, how to import one spreadsheet data into the another one. Google allows us to pull data from another spreadsheet by using a small piece of code(function) as mentioned below. The range of the data can also be defined according to our requirement in case you don’t want to import the entire sheet. With the use of “=importrange”, we can import multiple spreadsheet data. So now the question is how to just mention “=importrange” another sheet can get imported. So for importing a particular spreadsheet, we have to make it identical, we need to mention the spreadsheet key, name, and range. Assume we have a document, called “students_marks”, and this data need to be imported into the other blank document in which we are supposed to add some more data along with the this imported one. Now the spreadsheet key which can be seen in the above image, need to be copied and should be provided in the blank new document (in which this data to be imported). Next step is to mention the Sheet name and the range. According to the provided document “student_marks”, the final function should look like the below image. And now as we can see we have imported the “student_marks” data into “Untitled Spreadsheet (Blank Document)”. Here we have seen how to import data one from another, you can follow the same process for importing data from multiple sheets as well to you master sheet. Hoping this tutorial could be helpful. Do let us know if you use any other method to do so in the comment section below. I’m using this code in a trigger, but it’s not working because every time that a user update the source SpreadSheet the ID change. I there any other way to have a permanent and unique reference to a source SpreadSheet?